The Somerset County Library System of New Jersey partnered with Rolling Thunder®, Inc., an organization that focuses on advocacy for prisoners of war (POWs) and persons missing in action, to help preserve the collective memories of veterans and their families through a digitization event made possible through a grant from National Endowment for the Humanities (NEH). Thirty-two items were digitized or photographed during the meeting including: an award from the French president, an oversized group shot of Rolling Thunder®, Inc. members in front of the Lincoln Memorial, and the Taekwondo gi (uniform) of a veteran who was awarded for his skill in the martial art. The digitized items will be integrated into SCLSNJ’s common heritage initiative which will make the contributed items available for research and use by future generations by adding these items to Rutgers University’s New Jersey Digital Highway, by making them available in our Library’s online catalog, and by submitting them to the Digital Public Library of America (DPLA). In addition to partnering with Rolling Thunder®, Inc. for this special event, the Library will continue to host monthly digitization days. During the digitization days Somerset County residents are encouraged to add their family’s most prized possessions to the Library System’s catalog including: historic photographs, letters, or documents; sketches, paintings, or other artwork; family heirlooms including recipes; jewelry or decorative arts; textiles such as quilts, samplers, flags, or uniforms; antique toys; or something uniquely your own. The next digitization day will take place on March 23, from 1-3 p.m. at the Somerville branch, located at 35 West End Avenue in Somerville. 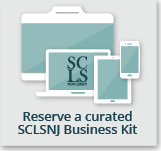 For more information: sclsnj.libnet.info/event/596162.